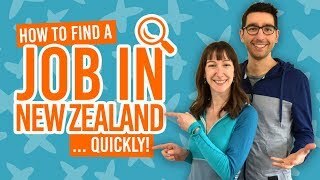 Welcome to the last leg of our walkthrough on how to apply online for a working holiday visa in New Zealand. 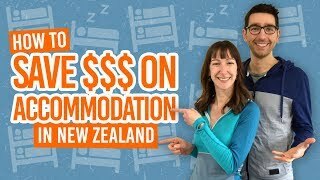 This guide is “Part 3: Confirmation and Payment” of your online application for your working holiday visa in New Zealand. If you prefer to see a complete written version of this guide, check out How to Get a Working Holiday Visa? You can also learn more about the Working Holiday Visa for New Zealand in What is a Working Holiday Visa? 18. After clicking on next on the last page as show in part 2, you should now be on the legal confirmation page. Read every statement and tick “yes” next to each of them. When this is done, click on “submit”. 19. You now have the option to pay now or later for your application fee. As your application will not be processed until you have paid for it, we will do that right now to save time. Click “pay now”. Note: Some countries like the USA do not have a fee to pay. If you do not have a fee to pay, jump straight to step 24 of this post. Otherwise, carry on to step 20. 20. This page will display your application fee. It is usually NZ$208 (prices vary depending on country of origin). Click on “secure payment site” in the bottom of the text. 21. Enter the name of the holder of the credit card that you will be using. Then click “Ok”. Note: you can use your parent’s credit card as long as you have asked first and write their name here, not yours. 22. Click on the logo of the card that you will be using. Note: only Visa and Mastercard credit cards will be accepted here. No debit cards or any other type of cards like AMEX or Diner’s. 23. Fill up your credit card details and then hit “pay now”. Your payment will now be processed. 24. Well done! You should receive your visa within 14 days, often much less. Check out what your visa will look like and where to find it on our “What does a Working Holiday Visa for New Zealand look like?” article and start planning the trip of your life! And don’t forget! It is mandatory to have medical travel insurance with a Working Holiday Visa in New Zealand. Get covered with a cheap and trusted New Zealand-based plan, like the insurance covers provided by OrbitProtect. What Does the Working Holiday Visa Look Like?